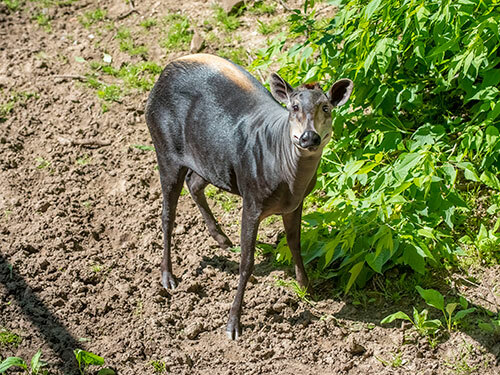 The Milwaukee County Zoo recently welcomed two new species into its collection: a female yellow-back duiker (a type of African antelope; name rhymes with “biker”) and three male Thomson’s gazelles. All are now on outdoor public exhibit. 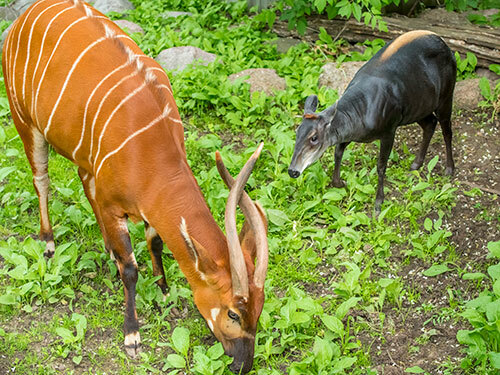 Adjacent to the duiker exhibit, three new Thomson’s gazelles have arrived in the African Savanna Exhibit – Alvin, Simon and Theodore. 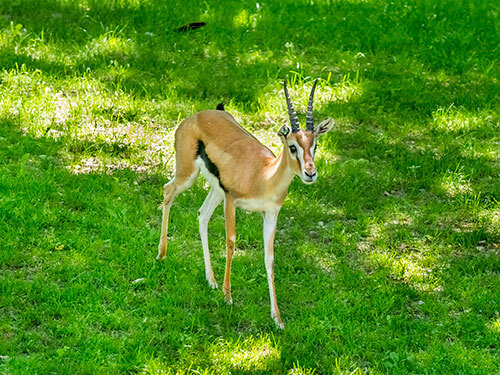 The MCZ has not displayed gazelles since 2005. All of the gazelles were born in 2016, and are related as half-brothers – sharing the same father. 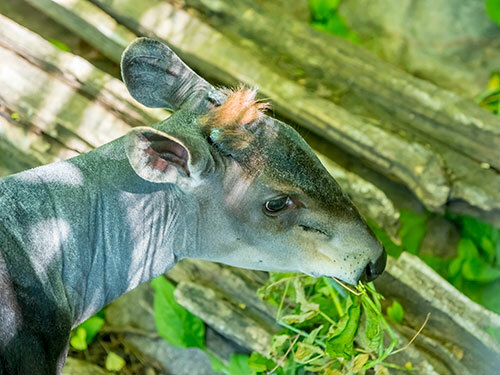 Near threatened in the wild, with populations decreasing, these grazing African antelopes live in herds which may consist of as few as 10, or several hundred animals. Often called Tommies, gazelles are one of three migratory species that make up the vast Serengeti migration. 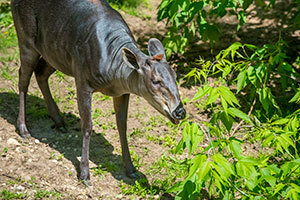 Like the zebra and the wildebeest, there may be an excess of 500,000 Tommies in the migration. 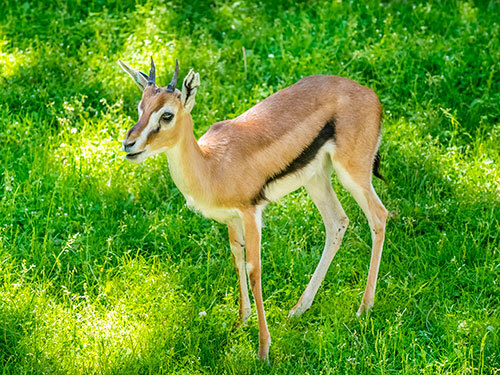 Zookeepers are allowing the gazelles plenty of time to acclimate to their new surroundings.